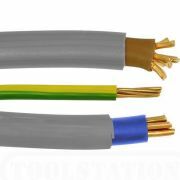 Below you'll find our range of Twin & Earth Cable - suitable for lighting circuits - these are available in varying widths, amp ratings and lengths - with up to 100 metre reels available for those looking to buy in bulk - or we will cut to length (per metre) depending on requirements. 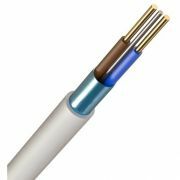 These twin and earth cables are BASEC approved and range from 1.0mm to 16.0mm in width, and from 14A to 70A in amp rating. We offer a minimum one year guarantee as standard on all products bought online - and with Free Delivery offered on orders above £49 - take advantage of our offers and purchase your twin and earth cable online today. 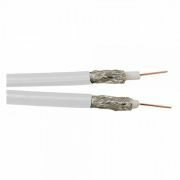 Here you'll find our range of 3 Core and Earth Electrical Cables - all available to buy online with various lengths available. These are suitable for most intermediate lighting circuits and two-way lighting in domestic installations. Whatever length of cable you require, from a few feet through to hundreds of metres, we offer cable cut to length - just add the length of cable that you require to your basket and we'll do the rest. For any questions, you can always give us a call on 0800 970 0966 where one of our friendly members of staff will be glad to help and provide advice. 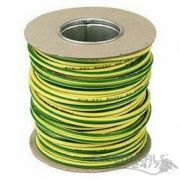 Below is our range of Armoured electrical cable - here we stock a huge range of choice in terms of different thickness of cable, but also of varying amp ratings - ensuring we're able to offer armoured cable which is suitable for any type of installation or requirement. These heavy duty cables are ideal for installation in areas where risk of damage is higher than usual, or where durability needs to be exceptional. We also provide packs of Armoured Cable Cleats, in packs of 100, which are also available to buy online. Order the cable you require in metre lengths simply by adding the required quantity to your basket - whether you need a few metres of cable or a few hundred, we can cut to length - so for example if you require 20 metres of cable, then order a quantity of 20 of your chosen flexible cable. 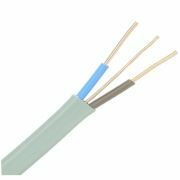 Here you'll find our range of Single Core Cable available to buy online - we cut to length - so whether looking to order a few metres or a hundred, we cater for all types of order. Simply add the quantity (in metres) that you require to your basket and we'll do the rest. If you're unsure or have any questions, feel free to call us on 0800 970 0966. We offer a minimum one year warranty on all orders placed online and this includes our range of 6491X Single Core Cable. 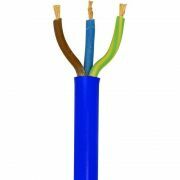 These cables are available in a choice of three colours depending on your preference and requirements; from brown, to blue, to yellow and green striped. Available in a wide choice of widths, from 1.5mm to 25mm, and available in a choice of amp ratings, from 24A to 97A. 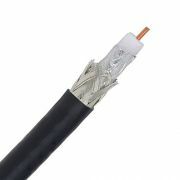 Our range of co-axial data and satellite tv cables are available here to buy online. As with most of our cable range, we cut to length - just add the length you require (in metres) to your basket and buy online. This means if you require only a few feet of data or satellite cable, or whether you need a whole reel for regular jobs, we can offer either type of purchase. Remember too that we offer Free Delivery on orders over £49 - and a minimum one year guarantee on all products ordered online. We also have a highly experienced customer service team available for contact on 0800 970 0966 - give us a call today with any questions!  Cable suitable for telephones and for alarm systems - we offer a choice of telephone and alarm cable available to buy online. We cut to length, so order the length you require by simply adding the total quantity (in metres) to your basket. This makes it easy to buy telephone cable or alarm cable online whether you're looking for a short length or a whole reel. Ideal for low voltage circuits, this range is ideal for products from bells and buzzers through to telephones and alarms. We provide a minimum one year guarantee on all products; so place your order in confidence today! As with most of our cable to buy online, we will cut to length! So simply add the length (in metres) that you require to your basket, and we'll do the rest. If you've any questions regarding our bell and speaker cable, then give us a call on 0800 970 0966 where we'll be happy to help. As with all of our online orders, we provide a 30 day hassle free return policy, and a minimum one year guarantee on all orders. Here you'll find our range of data cables, sold in 100 metre reels - our data cable is suitable for the internal wiring of telephones, door entry, and computer cables. 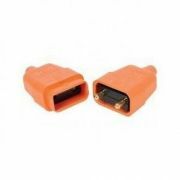 While the most simple applications of data cable is for telephone or door bell installations, more often than not, this sort of cable is used for computer and multimedia purposes. Internet cables, security cameras, computer networking, home networking - data cable is used across a huge variety of products these days. Remember that we offer Free Delivery on orders over £49 - with a small £2.95 +VAT delivery charge for orders under that value. Below you'll find our range of fire resistant electrical cable, ranging in width, cores, and amp rating depending on your requirements. 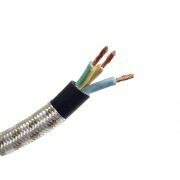 From 13.5A to 27A we offer fire protected cable for all types of installation. Prices are displayed per 100m reel of cable; insulated to protect against heat and fire - please see specific product pages for further information on the safety ratings and certifications of each cable reel. Remember that we offer Free Delivery on orders over £49 - at present this encompasses the entire fire resistant cable range; so take advantage and place your order online today!